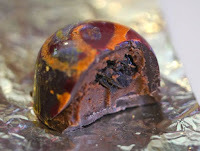 Today was Day #6 of Chocolate and Thankful Theme Week; and Day #1 of Chocolate and Holiday Spirits Theme Week. The Thanksgiving-to-Christmas holiday period is festooned with sweets. 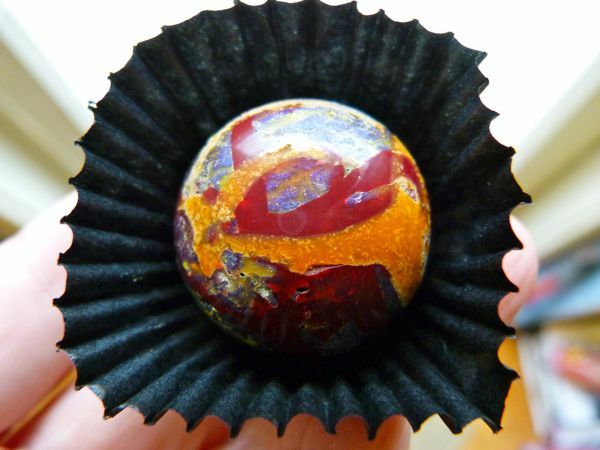 Sometimes I'm very thankful for smaller, high-quality chocolates that are layered with interesting, less sweet flavors. Today's pair of filled chocolates, from flying noir (Oakland, CA) were part of the company's "spirited" collection: one part eye-catching miniature art pieces, and two parts artful flavor layering. 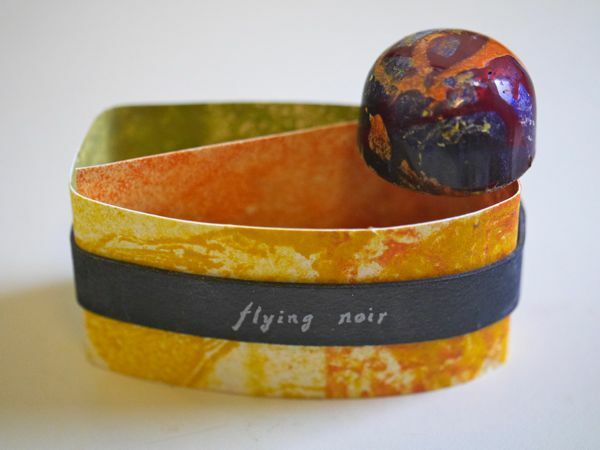 The NY black rye chocolate from flying noir was an artful gem, painted in shades of burgandy-red, orange, yellow and blue. 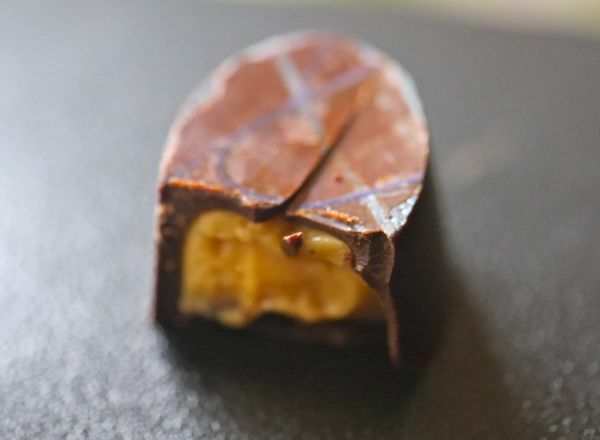 A piece of dried Bing cherry at the center was surrounded by a bittersweet ganache (filling) that was flavored with Michter's single barrel US*1 Kentucky Straight Rye Whiskey, and a hint of Kauai guava smoked sea salt. I also sampled flying noir's "cynara." This chocolate-covered oval (painted in faint blue-green opal colors) was filled with a sweet, creamy caramel white chocolate ganache, and tempered with Cynar* bitters. A true study in bittersweet. *Cynar is an Italian bitter liqueur/apertif made from 13 herbs and plants, with artichoke being one of the dominant flavors.